Fans of the beautifully-designed puzzle game Dots and TwoDots, prepare for another adventure. Today, the company announced its third game, Dots & Co.
Dots & Co’s gameplay is a lot like TwoDots in that the goal is still to break enough dots (and triangles this time!) to meet each level’s requirements. The big difference is the “& Co” part – on every level, you will meet new characters that have various abilities to change up the board, such as make all the dots the same color or remove dots of a certain color. Think of them as using TwoDots’ treasure box every time you break enough triangles (or companion dots, the game calls them). Some characters you choose to join your level may need more triangles to use their ability, but those generally have better abilities as well. As you progress through the game, you meet more friends who can help you out at each level. Regular power-ups also exist – you can still choose to manually erase a dot one by one if you’d like to pay for those abilities. 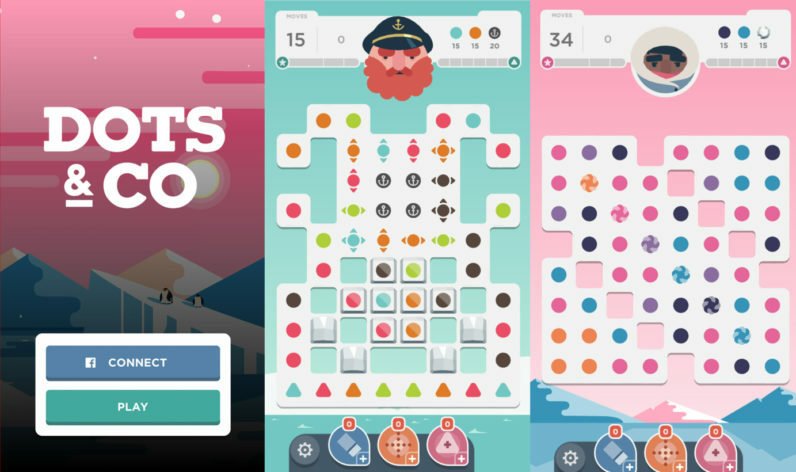 Dots & Co is free to download and officially lands on July 21 on Android and iOS.